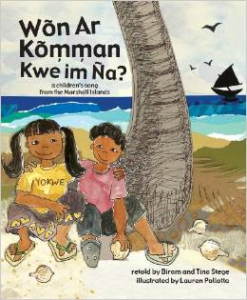 Thanks to a generous grant from the Atlantic District Lutheran Women’s Missionary League, and in cooperation with artist Lauren Pallotta and authors Biram and Tina Stege, Our Saviour has developed an Arch-Books style children’s book in the Marshallese Language. Copies have been distributed free of charge to all kindergarteners and first graders in the Marshall Islands, and additional copies have been distributed among Marshallese communities in Oregon, Hawaii, and Arkansas. Individual copies are for sale for $20 plus shipping via Amazon.com or via e-mail at paul.sauer@oursaviourbronx.org. All proceeds go to support the publication of future books.